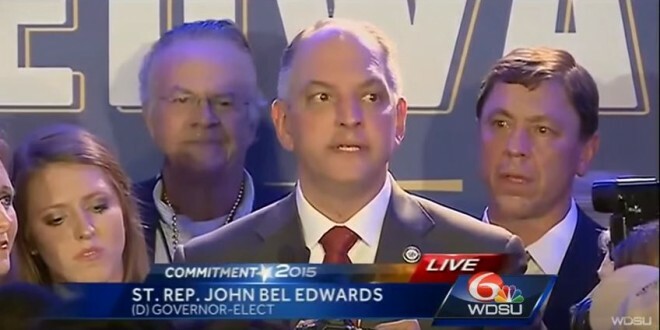 LOUISIANA: Governor-Elect John Bel Edwards To Protect LGBT State Employees From Discrimination - Joe.My.God. Gov.-elect John Bel Edwards plans to issue an executive order to protect the gay, lesbian, bisexual and transgender community from firing, discrimination and harassment as state employees and government contractors. Edwards’ directive would cover state workers and government contractors in agencies and departments he oversees. But executive orders don’t necessarily bind parts of state government outside the governor’s control, such as the judiciary. The Edwards’ transition team did not provide a timeline for when the order might be issued, but the Democrat will be sworn into office Jan. 11. RELATED: Including Louisiana, 28 states offer no employment discrimination protections to LGBT residents, although many city and county municipalities in those states do so.